Initiative to remove visa barriers making headway. Taiwan is wooing Southeast Asian tourists by granting them visa-free access to Taiwan as part of its new southbound policy, according to a measure approved last week. 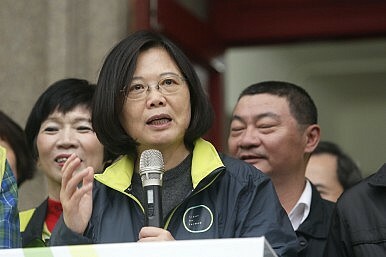 The new Taiwanese government under President Tsai Ing-wen has unveiled a new “southbound policy” partly aimed at pursuing closer economic ties with Southeast Asian countries in a bid to diversify its foreign policy. One of the areas the government has prioritized within that framework is tourism. Last month, the government outlined a three-pronged effort to remove tourism visa barriers for ASEAN countries, including extending visa-free privileges to more countries; expanding a Tourism Bureau program that simplifies visas for Southeast Asian tourist groups; and extending online visa approvals. The initiative is gradually making headway. A measure approved by the Cabinet last Friday allows citizens of Thailand and Brunei visa-free access to Taiwan starting August 1. According to Taiwanese media reports, Cabinet spokesman Tung Chen-yuan said the measure will be implemented on a trial basis for a year. The move would extend a policy already in place for ASEAN states like Malaysia and Singapore to other Southeast Asian countries. In addition, nationals from Cambodia, Indonesia, the Philippines, Vietnam, Myanmar, and Laos who have received visas to Australia, Canada, the Schengen area, Japan, New Zealand, South Korea, the United Kingdom, or the United States over the past 10 years will also be allowed to enter Taiwan visa-free after registering online. The government hopes the new initiative will boost the number of visitors from Southeast Asia by 20 percent, or about 280,000 visitors, in 2016, from the 1.43 million people from the region who visited Taiwan in 2015. The additional visitors are expected to contribute an extra NT$13 billion (US$407 million) into the domestic economy, according to government estimates. ASEAN is Taiwan’s second largest trading partner, and trade between the two sides has been steadily increasing over the past few years. What’s Next for Taiwan’s New Southbound Policy With ASEAN? A closer look at the opportunities and challenges that lie ahead for the Southeast Asia dimension of Taipei's new initiative.